The simple essentials for a happy ranch gal. My awesome “Pair Processors”, Geier medium elkskin gloves, ‘lil bit ‘o Chapstick, 60F, light breeze, sunny, and hummin’ “Amarillo By Mornin'”…my all-time favorite song. PregGuard 10 FP, Vision Somnus, Ivomec pour-on, taggin’ calves = one happy gal and some happy Hangin’ Tree Cowdogs. We love our work. ~Thank You Bert ‘n Hawk for great kids! Cruising around the other day with my version of “The Five”…a spin-off of Fox’s The Five…I was smiling to myself about technology. I remember in 1980 at my 1st job after college that the “old people” were buzzing about some new technology that “no one was supposed to know about yet”. But the gentlemen around the table were either groaning or excited. The groaners felt too old to embrace the concept of something new. The excited ones…as I later learned/observed and labeled them “The Progressives”…could not wait for the arrival of the prized new thing. There would be one at 1st and it would be housed in a special room, with limited access, with only “certain” people authorized to touch it. And a fine young lady had lobbied her way to be the “controller” and “access granter” to the new prize. Later in life, I learned that her lobbying was akin to the phrase, “Job security”. That little prize was like the coming of a baby to a virgin and a man who had pretty much nothing in his pockets…few earthly possessions. And that little prize was coming to a research facility (aka “a station”) at the far reaching SW edges of Nebraska – North Platte. That little prize was going to bring new life, new opportunities, and open avenues of adventure never seen or experienced before. In comparison to other sorta similar things it was a little, lightweight baby, portable with ease, personal in use, yet extensive in what it could give in return for some stroking. That little prize was the 1st personal computing device and it came from IBM. That little prize would be a launching pad for changes in life for millions, maybe billions, maybe zillions of people. Life was never going to be the same…groaning by some, excitement beyond containment by others. I, being a lowly little fresh out of college schmuck was not even allowed to “see” it when it arrived. No, no the young tall, smug, big round-framed glasses wearing blonde with the 5’10” stature was the gatekeeper to the little prize. She and that little prize lived behind a locked door. Only the degree earning PhD’s…aka the elders…were allowed to access “The Room”, the smiling blonde and the prize! I was an “outside worker” so I had no need to view or learn of the little prize. I had cattle to feed, blood to draw, poop to scoop, bunks to clean, horses to ride, cattle to work, rations to develop, range cubes to make, drugs to administer, data to collect, records to keep, feet to keep warm, hands to care for, sweat to be soaked up…yes, I was an outside worker. A lowly outside laborer. A college graduate that took a job for minimum wage just so that I could live and work closer to my God given home of the Sandhills of Nebraska. My goal when my parents moved me at the age to 10 was to get back “Home”…someway, somehow. So, after college I left my family in Missouri to return to my conception roots of Nebraska. And life continued to evolve for me. I thought one day as the door keeper to the little prize locked the door behind her, “Someday I will be sitting there looking at that prize, touching it, feeling it, talking to it, studying it, learning all about what that little prize likes to eat and all the things it can deliver.” I asked the man I worked for if I could transfer all the hand-written research records for the 2,000 cows to a file on “the prize”. He looked at me and glared, laughed, said, “I don’t know. There is no time during the day for you to be in here and Mary Jane needs it for her work she does for us.” I left his office. A few days went by and I inquired, “Have you given any more thought to putting the cattle records on a file?” Answer barked back, “No.” A few days went by. I was at the shack (oops, I mean The Office at the feedlot) just finishing up neck bleeding 120 bulls in just above zero weather. The gentleman I worked for came by to see how things were going. He was in his street coat, office wear and his felt hat, Tony’s, driving gloves and he came into the feedlot (O), “Cold?” We smiled and replied, “No, it’s nice out today.” And it was nice out. It was above zero, I had figured out a way to bleed bulls in sub-zero weather without blowing up red top tubes by merely exposing them to the air, let alone having them shatter when hot blood shot into them. And after you spend lots of time below zero, when it hits zero it almost feels like summer, no coat needed. Like the stock you acclimate. On his way out he gruffed at me, “Stop by my office I want to talk to you.” I had this twinkle run through my head, “Wonder if I get to go see the little prize.” The men kidded me that I was, “In trouble now.” Later that day, close to 5 I went over to “The Big Office”. The gentleman I worked for had me shut the door behind me, sit down and he sat a stack of folders in front of me. I recognized those folders immediately. It was the cow records that I took care of. He looked at me sternly and said, “Now. You are going to figure out a way to put these records on the new personal computer so that we can manage the records from files on the personal computer.” I just stared at him but on the inside I was dancing. He looked at my stoic face and said, “Do you really think you can do this?” I quietly said, “I’ll try. I’ll really try.” I worked from 10 PM to 4 AM for weeks to teach myself how to operate and use that little prize. Needless to say, the soft skinned, tall, pretty blonde was like a cougar chasing a rabbit into a boxed canyon. She put every living inch of fear pulsing eye squinting she had into making my life miserable and a road map to failure. That little prize opened doors of opportunity way beyond my wildest imagination. And now, pffftttt. It is like a story of a dinosaur in some pre-historic time. Like Facebook. It is for “old people” in the eyes of high schoolers. So, today I am thankful for that pre-historic time in my life. And I am also grateful for the virgin, her husband and that “how did that happen” conception that was bestowed upon them by God. A lot of great things come out of nowhere. What is old is new again. You too Christmas and that little prize that generated your name of “Christmas”. Christians…we believe in those little prizes. Don’t we. ~I Do, I Believe. ADM Moorman mineral and Red Rumensin Mintrate blocks for breakfast. Down to 2 cows to calve. It’s Sunday morning. Behind the mighty oaks to the E the sun is not even shooting up a ray yet. But it is going to be a clear day…you can tell that much. The ground is laden with thick frost and some dandy works of art – ice crystals. Those 2 cows are going to calve together, you can tell. One is 8, the other 3. Their lineage goes back to 2 different cows that came here as bawling heifers straight off their moms. They were not bawling by the time they arrived here though. One was on a set of trucks from NC Montana. The other on a set of trucks from NC Wyoming. One’s mom got here in October 1998. The other’s mom got her in October 1999. Lots of females dot the pastures around here from H774 a Red Angus x Red Simm cow and J974 a Black Angus x Black Simm cow (a Meyer 734 daughter). As a matter of fact, H774 just left the place this past March as an AI bred, very short but solid cow. She went to a repeat cow customer in Michigan and she had twin heifers back in late September. Anyway. Bundled up in my cold duds off goes the Calving Crew and me on the iron steed. 12 mph to keep the wind chill down a tad. Hawk is prancing around on the seat behind me. Pokin’ me in the back of the head and crammin’ her head under my left arm. Eventually she has her head under my arm just enough so that her nose is pokin’ through on my side of the chilly equation. I inquire, “Cold?” She pulls her head out and proceeds to poke me in the side of the face with her cold, wet nose and I can feel her quiver, “Yes!” I tell her, “You’re okay, you can get off soon and hunt for poo balls. That’ll make ya happy.” We only have a little over ½ mile to the pasture but on a morning like this it seems farther. At the pasture gate we pull in and there are cows along the fence. It’s the highest point of the pasture and will be the 1st part to get the early morning rays of sun. Warmth. The sun is just about to peak through the oaks on the high hill to the E. Unlatching the gate and looking E across the pasture is nothing short of mesmerizing…millions of starlets, a mat of whitish silver, and dancing glistening sparkles on the very tips of the blades of short fescue grass, a marvelous sight. Thinking, “Where is my camera? Too cold for the camera but this is an awesome sight.” I tell the crew, “That’ll do.” Like the true competitors they are they launch off the iron steed and the race is on. Down the hill, noses to the ground and picking up frozen solid poo balls like relay race runners…barely breaking stride as they grab and jerk the poo from the frozen ground. 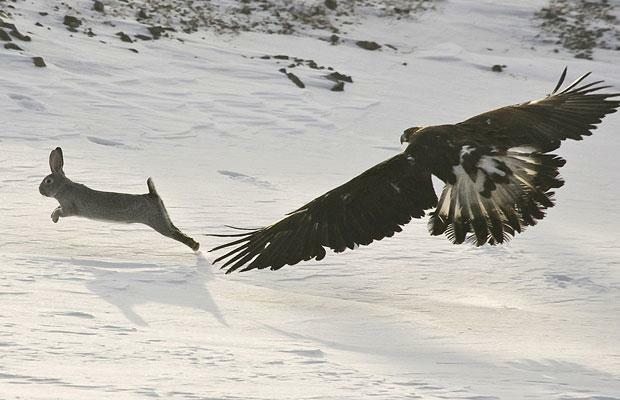 Barely a chew, swallow and off to the next find. I am taking in the glistening grass and taking note of the sun moving upward through the trees. 10 minutes or so and it will be at the tree tops and the calves will be up with the sun, stretching, running, bucking and shaking off the whiteness on their backs. 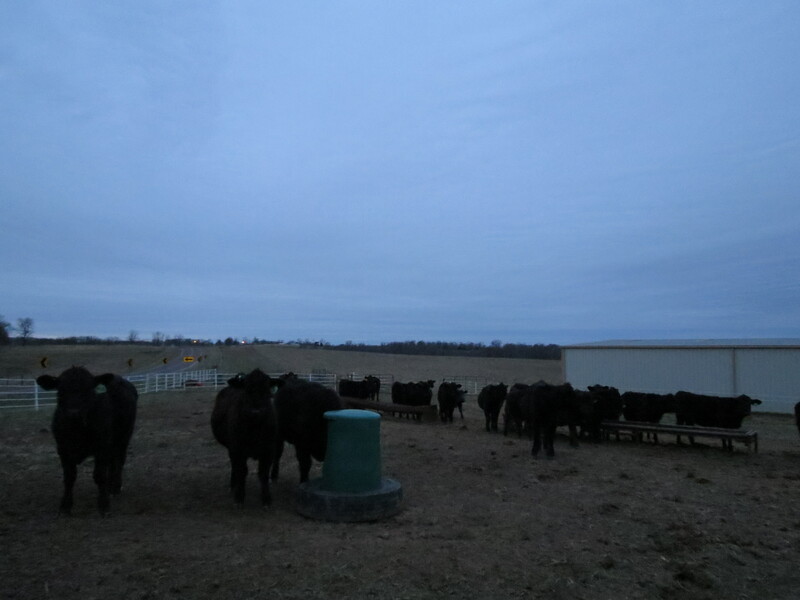 The group of cows I need to browse through are in a different pasture and have to wait about 10 minutes longer before the sun is up enough to begin radiating their hilltop where they bed for the night. I get to the “last cows” and am short in the count by 2. It will be the 2 left to calve. Look around right quick and yes the 2 left to calve are not here. I know their body shapes and they are not here. Over the hill I go, stop at the point, scanning, nothing. The cowdogs are still eating poo balls but Hawk and Sly are having a tiff over something. I call to them to load up. Hawk does not come because she is trying to rip something out of the grass. I gruff at her, she reluctantly comes. We drive to where Hawk was and there is a water sack frozen to the ground. Somebody is started. I get half way down the hill to the draws and stop. Scanning, nothing. But Hawk gives me a tip to the S. She’s looking at the woods to the right. Ah…yes. Cow, black spot on the ground, laying very flat though, hope it is okay. More scanning, nothing. Bandit gives me a hint to the E. Hum, still nothing. Oops, movement. A cow head behind the trees at the branch? Ah…yes. Cow head making an up/down side to side movement. Thinking, “Chewing afterbirth.” Off we go. 1st to the S… cow 5H774 and her totally white frost covered calf…all is well. We leave to go back around the woods to the N and E. Ah…yes. 11S41J974 with her calf all round backed and feebling around while its mom picks up and wrestles with the placenta…all is well. This cow is 4 generations out from J974…roots in Montana. The calving crew and I buzz on. We get several hundred yards away and I pause, “Go on.” Like leaping frogs gone they are. ¾ of a mile to run and load up on more poo balls. Down the last hill, cross the branch, and the game of tag going up the hill is on. We are back at the place we started. The white matt of frost on the blades of grass. Still glistening but soon to be gone for the day. The sun is up. At the gate I look back across the pasture and over to where the last 2 cows to calve are now at with their babies. A huge lump fills my chest, like my throat has a bowling ball in it. My God, I can feel my eyes fill with water, what 4? I tip my head down to chain the gate and tears roll down my face. Then it pops into my head, “Bert.” I can barely get out the words, “Load up.” The calving crew is looking at me with soft faces and lowered ears. They load up, I load up, Hawk cuddles my back, off we go 13 mph for home. Tears trickle down my cheeks and become icy balls, droplets frozen on my Range Maggot Woollie neck warmer. That short long drive home with my crew, I should be happy. The calves are now all on the ground. I get home, stop and shake the frozen droplets off my wool scarf and they fall making plinking pings on the iron steed. I tell myself, “Shake it off.” Yeah, shake it off. Bert is gone, the calves are now here, time to get ready to AI and shift from the “Calving Crew” to the “AI Crew”. ~Life Goes On. Bert and Tammy. Cowdog production sale May 2009. 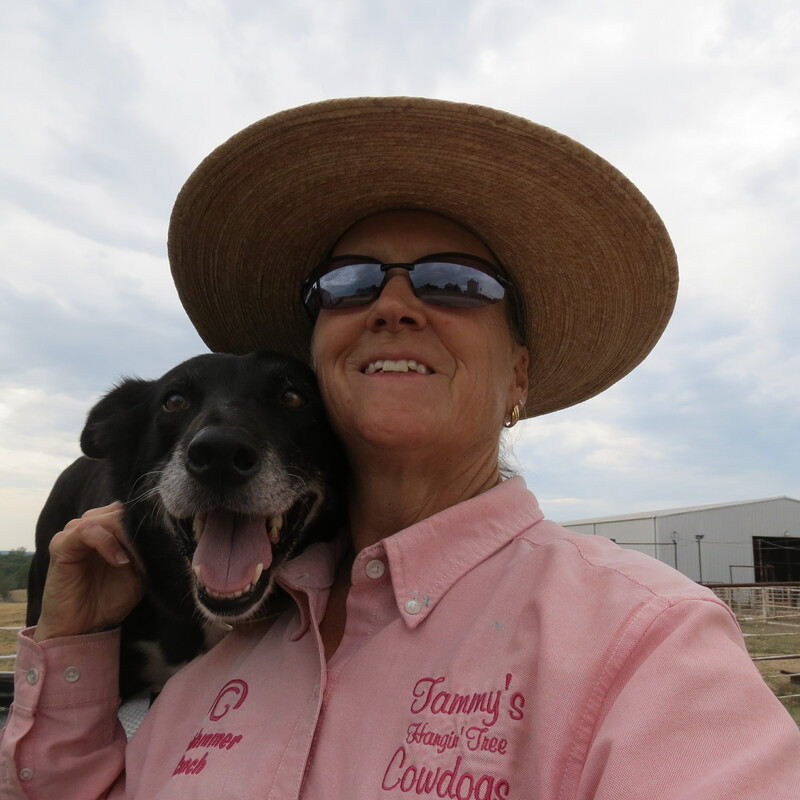 Well, for some reason my link between my Tammy’s Cowdogs website blog and my Tammy’s Cowdogs Page on Facebook has become “disconnected”! This is a test post to see if I can get them in-sync again and with photos posting. 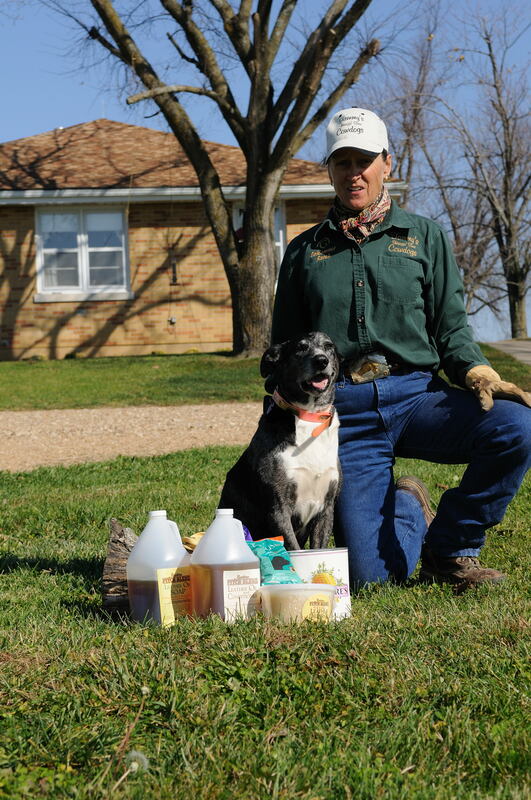 Tammy and Cowdog Hawk…July 2012. Leaving for home last night I went out my mom’s back door and found the NE sky bright and radiant. Just had to go back in and get my camera. I’ve spent 100’s of nights with this ole friend. Me, dear cowdog Bert, now Hawk and ole red the flatbed pickup…creeping around pastures or lots during calving seasons. It does not matter the time of year this ole friend never gets old. Been a great help on many occasions. Been a comfort on many occasions. Been a great companion to while away the hours with. The very sight of it illuminating the NE side of my folk’s big old elm tree was majestic. There was a small, extremely distant, periodic honk of geese. Not like a day time line of geese heading S when the whole bunch is talking all at once. No. No, just a long periodic squawk with a long pause and then another long squawk. Tired maybe they were? Flying at night and just putting on the miles. But one cool find with my old illuminating friend last night was the buds. See the elm buds? I’m so focused on winding down and getting ready for these short days and the looming winter. The thoughts of cold, wind chill, snow and months of cold, wind chill and discomfort. But look at the elm…it is signaling signs of new life to come when it begins to warm again. See the buds? Puts life into a whole new perspective, yes? Yes for me it does. Thank you my ole “friend”. Thank you for reminding me of our long everlasting friendship throughout the years. ~Our Good Memories. Our Good Times.